Awake in the Wild Nature Meditation is a unique way to be in nature. It is the art of being outdoors with a contemplative presence. 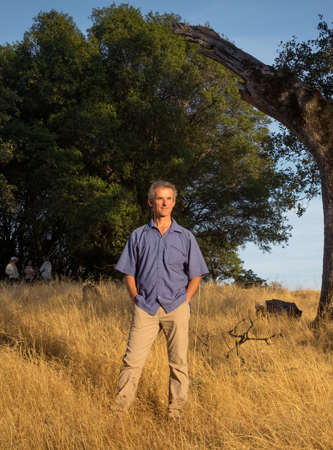 Through the power of mindfulness people can cultivate a receptive, open quality of awareness that allows a rich sensitivity and connection to the natural world. Unlike being indoors, meditating in the wild allows you to utilize all of your senses and the sensory environment as a support for being present. From that intimate connection, you can develop insight, clarity and a visceral understanding of knowing one’s place in the web of life. By doing so, the wisdom of nature is easily revealed. Utilizing various mindfulness practices outdoors allows you to touch a sense of joy, wonder, love and connection. It is a way to wake up to the preciousness of this moment and the beauty of the earth we all share. Out of that connection can arise a deep care for the planet and a desire to live in greater harmony and sustainability. 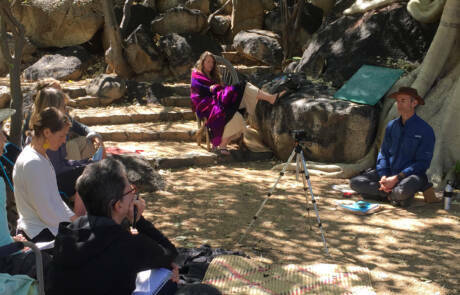 The Awake in the Wild Teacher Training is an apprenticeship training in guiding contemplative nature practice, inspired by wisdom teachings from the Buddhist tradition, by Mark Coleman’s book Awake in the Wild (AITW) and by the wilderness retreats led by Mark for more than a decade across the Americas. 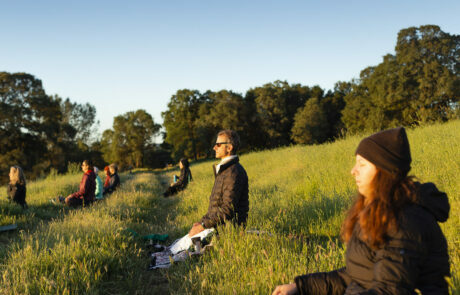 Nature meditation brings mindful awareness practices into the outdoors as a support for presence, connection, and insight. 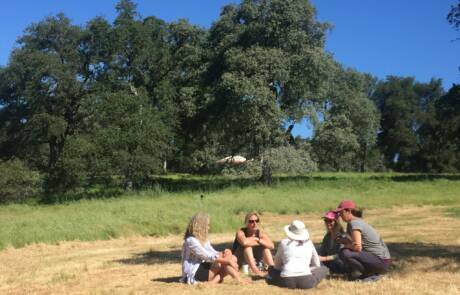 Mark is excited to share this cherished work with a group of dedicated nature meditation practitioners that will give them tools to begin to share similar practices with others. Many of us have forgotten how to listen, feel, and sense the natural world and why it’s vital to our own humanity. We can turn the tide by engaging in regular contact with nature while cultivating the simple yet profound quality of mindful attention. 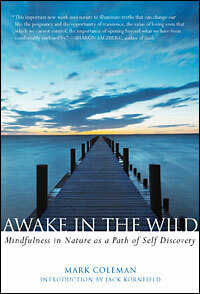 Awake in the Wild is a guide to using Buddhist meditative techniques in the natural world as a way to access nature’s gifts, blessings, and guidance.